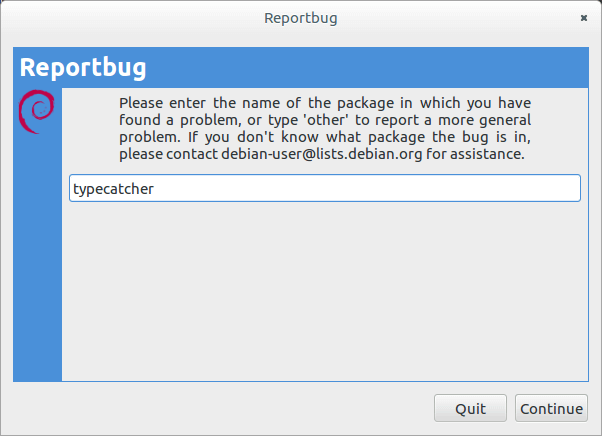 Automatic checking for newer versions of packages. Optional automatic verification of integrity of packages via debsums. 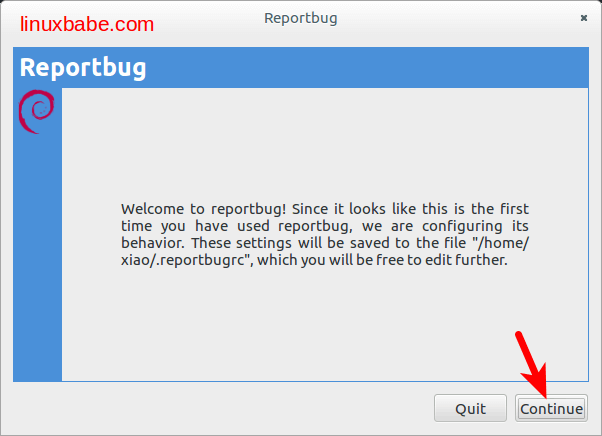 Now I try to take a sample case borrowed from Reference 2 to illustrate how to use reportbug. 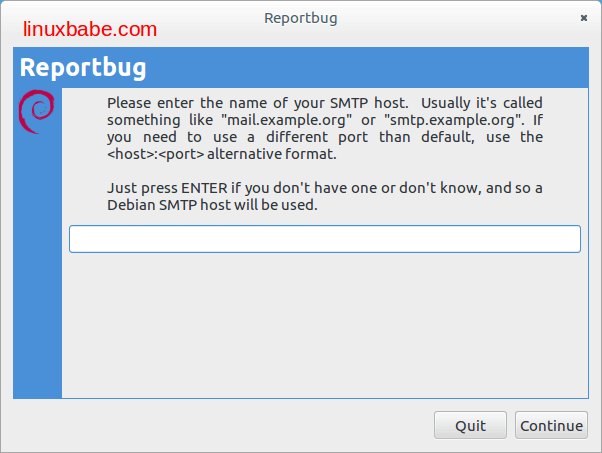 Just skip SMTP host if you do not have. And the default SMTP server will be provided by Debian. 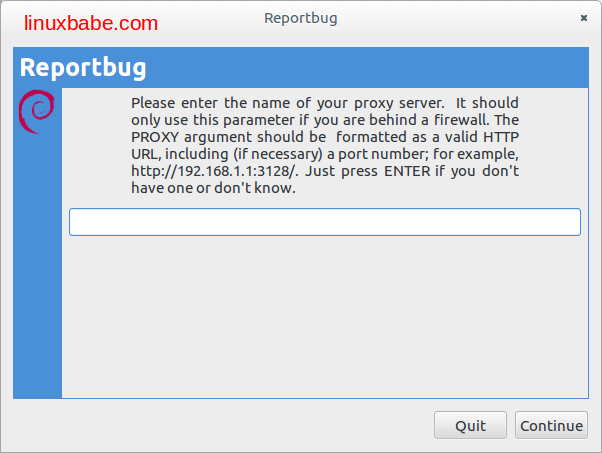 Just skip proxy server if you do not have. 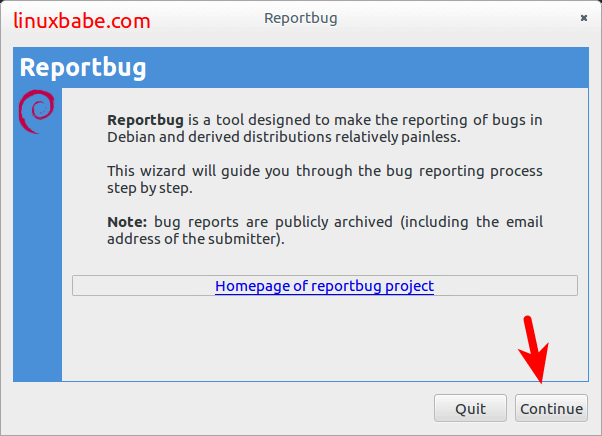 After finishing configuration of reportbug, directly open reportbug to report bug to Debian Bug Tracking System. 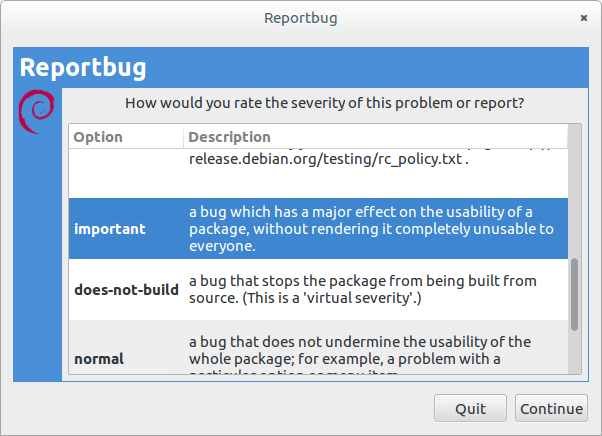 reportbug will check whether the package on our system is the newest version and ask you whether you really want to report this bug. 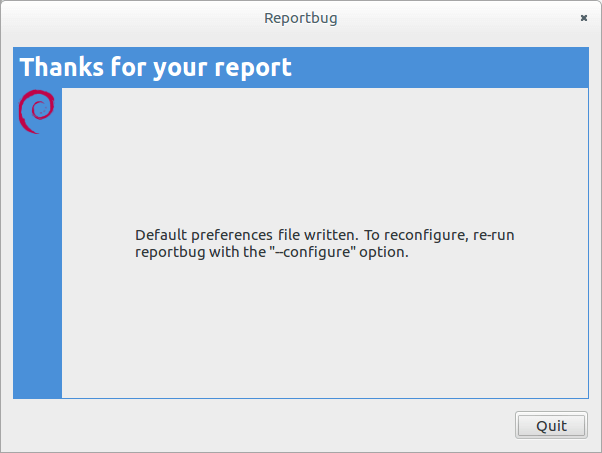 Please check whether there exists a similar report bug. 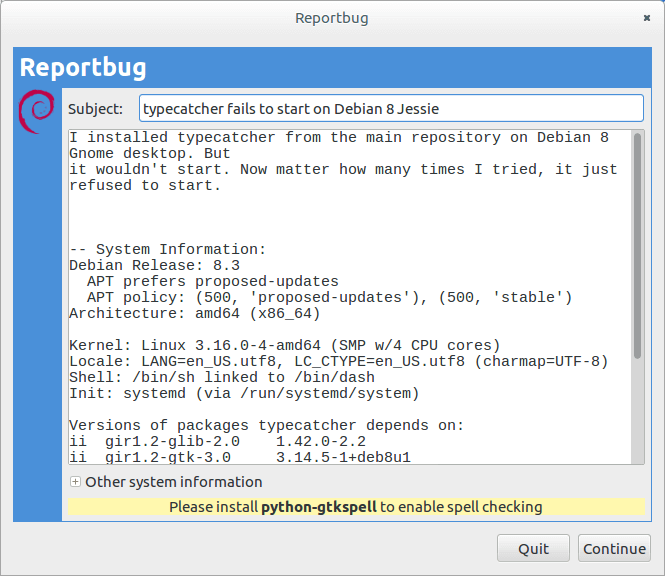 The bug here is “typecatcher cannot startup normally”. It should be important. 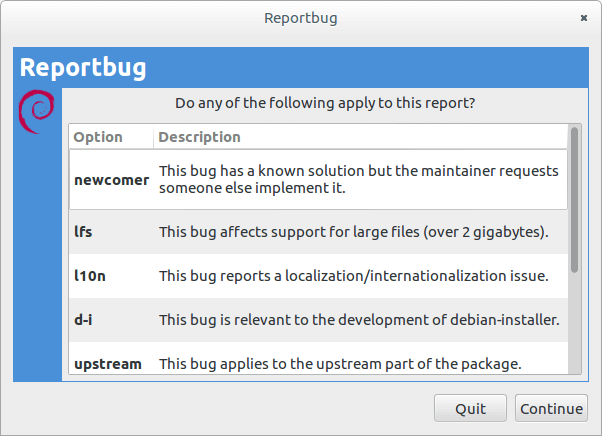 If you cannot find any description that could apply to your bug, please continue. 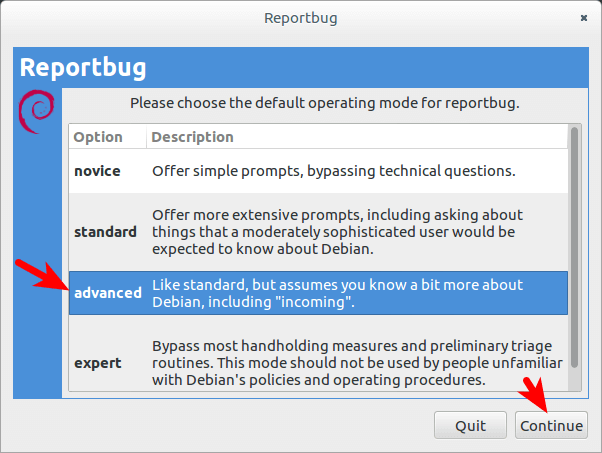 Then describe your bug in the textbox following the tips. 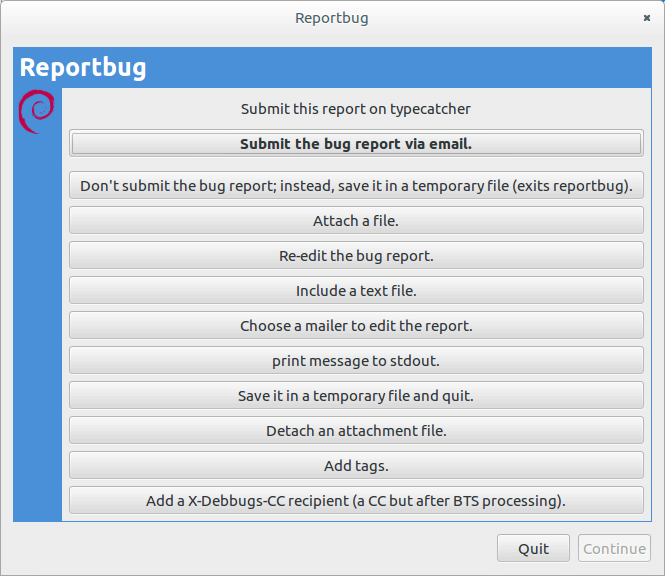 Submit the bug report via email. 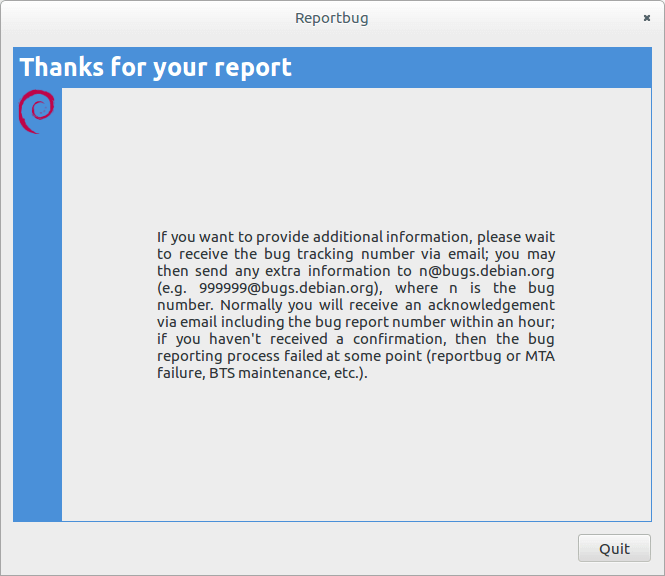 Finally, you could search your bug id from Debian Bug Tracking System.